The membership card is inlaid with different specifications and different types of diamonds, which are full of extravagance. It can be printed on PVC, ABS, PET and transparent materials. PVC is the most commonly used card-based material in China. It has the characteristics of waterproof, high printing brightness, long storage time, not easy to be stained and opaque. In addition to printing, you can also do the following processes on the card: magnetic strip, bar code, inkjet, scratch, signature, convex code, hot stamping (silver), fluorescent anti-counterfeiting, micro-printing anti-counterfeiting, etc., and can be on the card Packaged chips can be divided into contact IC cards and non-contact IC cards. 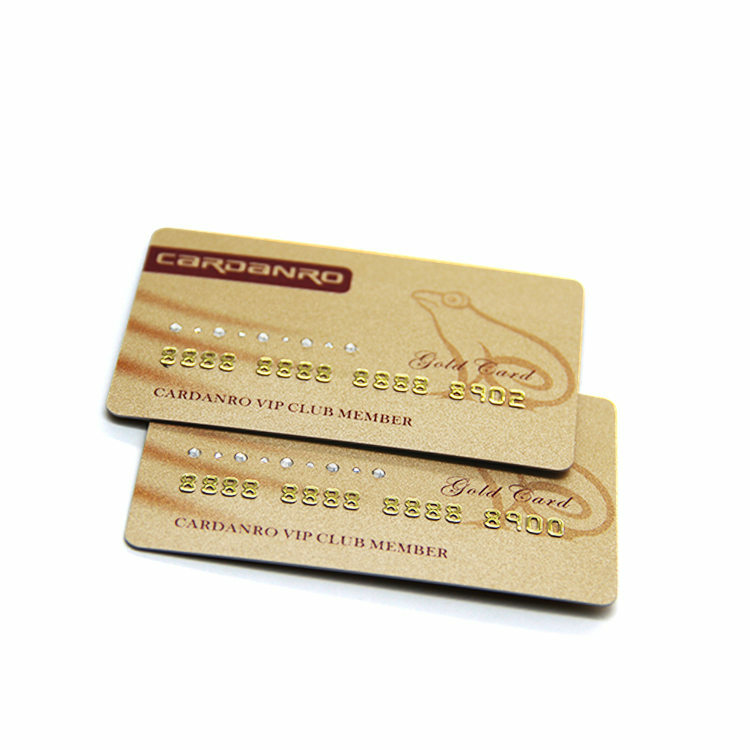 A variety of high-end membership cards, shopping mall loyalty cards, restaurant VIP cards, jewelry VIP cards, high-end membership cards in the entertainment club industry.